While you are reading this article, thousands of research reports are being prepared in our country. 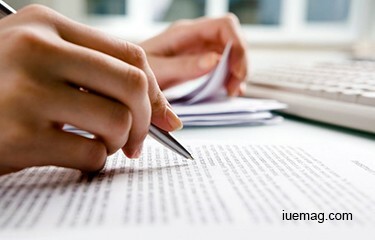 Every year thousands of research reports are prepared and submitted to Universities for award of degrees. Some do it as a part of post-graduate research projects, some do it as doctoral research students and some do it for under-graduate research dissertations. These reports are generally very bulky, verbose and excellent in paper quality, print and overall appearance. These reports are prepared in double spacing and they generally have plenty of blank pages in between (to add their decorate value). I am very critical about these reports for three reasons 1. Most of these reports don’t help the society at large and the organization in particular 2. Most of these reports are rarely referred in the future (even the person who prepares it may also never read these report). And 3. Most of these reports contribute to wastage of resources – because plenty of time, money, paper, and other resources are wasted in preparing these reports. A Research Project can become an extremely useful tool for social development. These projects can really convert students into scientists and can bring amazing solutions to the present day problems. If a person takes up research projects seriously, there will be a real transformation of the person and there will be tremendous satisfaction due to the insights generated out of research. Very few people take up research projects with complete dedication. There is a need to add more and more research projects in the academic curriculum so that the students are involved in real life projects and use their education for problem solving. There is also a need to reward those who pursue research with highest standards. There is also a need to encourage researchers to pick research areas relating to common people. Research that can help maximum people should only be carried out. Farmers, artisans, craftsmen, traditional artists and grass root workers need upgradation in their technologies so that they can improve their performance. They require technologies which are rooted on local resources, prepared for micro-level work and designed for small scale production. But most of the researches are driven towards mega-technologies and mega-projects. The result is that we have technologies which don’t help common people and we have common people who are need of new technologies. This mis-match seems to be very dangerous because it will create scientists without heart and will destroy traditional arts, crafts and handicrafts, who have not been getting any support from scientists. Mr. Rashid is a computer scientist. He has completed his doctoral research in the field of computer science from Suresh Gyan Vihar University Jaipur. He could have easily piled up huge volume of reports and got his doctorate. But he chose the route less chosen. He decided to apply the knowledge of computer science for solving problems of common farmers. He prepared softwares which can be used for drip irrigation, pest control and farm improvements. His softwares can help farmers take rest because the software decides when to start irrigation and when to stop it (based on live data collected about level of moisture, level of humidity etc.). Similarly his software can help in weed control, pest control and minimizes use of pesticides and other such chemicals. He applied his research work in solving problems of our times. His work needs to be appreciated and emulated. I wait for the time when the researchers spend some time in understanding the purpose of their research and how their research will benefit the common people at large. I wait for the time when these research projects are solving the problems of our times. I wait for the time when findings of these research projects are made available for common use so that more and more people can benefit out of these research findings. Any facts, figures or references stated here are made by the author & don't reflect the endorsement of iU at all times unless otherwise drafted by official staff at iU. This article was first published here on 29th July 2016.